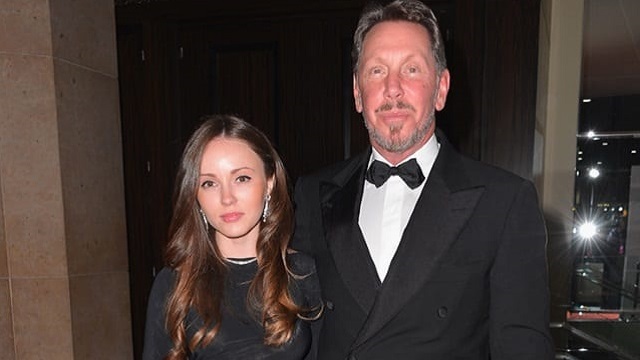 If you are the type that follows the personal life of wealthy men, particularly the ones at the top end of the revered Forbes list, then you probably have seen a woman at the arms of Larry Ellison, one of the top ten richest men in the world at several public events. That woman is Nikita Kahn, who has been the girlfriend of the billionaire for a long while. It is easy to throw Nikita Kahn as part of a slew of young women who exist as eye candy for wealthy men but Nikita Kahn has turned out to be more than a bimbo. She is well educated, a philanthropist and an entrepreneur. Learn about the very interesting life of Larry Ellison below. Nikita Kahn shares a name with one of the most popular shows created in Hollywood and just as the titular character in the show is a badass, so is Kahn who is a writer, a philanthropist, a model, actress and a holder of multiple academic degrees. Perhaps it is her quest for all-around excellence that birthed the attraction between her and the Oracle billionaire, Larry Ellison. She was born in 1991 in the Soviet Union and was equally raised there, with an original birth name believed to be Iryna Osipova. Her childhood life involved attending school and taking gymnastics and ballet lessons from the age of five. After completing her basic education, which included high school, Nikita Kahn earned her first degree in hospitality tourism before she proceeded to earn a second degree at the Kiev National University of Trade and Economics. Before she completed at studies at Kiev, Nikita relocated to the US and completed her education with courses in architectural engineering. If the diverse educational background and skill set of Nikita Kahn wasn’t already enough, she decided to add acting to her repertoire of skills and accomplishment, starring in her solitary film – Catch 44 alongside film stars like Forest Whittaker and Bruce Willis. Nikita is also a philanthropist and an animal rights activist. She has been working with different organizations in order to combat the scourge of animal traffickers and poachers. As part of her quest, she has produced a documentary, ‘The Last Animals’. She is also a member of the Peninsula Humane Society and the SPCA and has helped the California Rescue Center raise $600,000. Part of her professional ventures includes being the owner of a real estate firm focused on the remodeling of homes and she is also the owner of a women’s lifestyle blog/website. She currently lives in California, in Malibu where she experiences luxury such as the Nikita Malibu, a restaurant which was established by her boyfriend and named after her. Nikita Kahn has most definitely established himself as a public personality since she began dating Larry Ellison but that status hasn’t revealed everything about her life. While we know she was born into a comfortable family, where she could afford lessons as a gymnast and a ballet dancer, there are no details regarding her parents, including their names and profession. Nikita Kahn, as far as we know, has never been married. She has, however, been in a long-term relationship with Larry Ellison. Those who remember Larry Ellison will know he has been married four times to Adda Quinn, Nancy Wheeler Jenkins, Barbara Boothe, and Melanie Craft, whom he divorced in 2010. Nikita Kahn is believed to have begun a romantic relationship shortly after his divorce and they have remained together ever since. It remains to be seen if Nikita Kahn will follow in the footsteps of the women that have come before her but so far, the couple appears to be enjoying their lives as unmarried companions. Nikita Kahn is most certainly worth a few million dollars but at the moment, the exact figure is unknown. She is involved in a couple of high-profit ventures, including modeling, real estate, and acting. Although her acting career has only seen her star in one movie so far, it is in her real estate business that she has found considerable success as an entrepreneur. Her boyfriend on the other hand, who is the founder of Oracle Corporation, has a more public financial profile with an estimated net worth of about $57 billion, making him the fifth richest man in the United States.